The Martha Years books are a series of four novels about Laura Ingalls Wilder’s great-grandmother, Martha Morse Tucker. “Little House fans will enjoy this charming spinoff, which features one of Laura Ingalls Wilder’s ancestors. 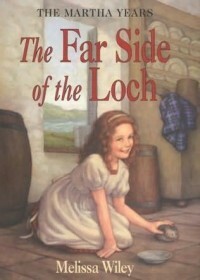 Young Martha, inquisitive and impulsive, finds her way in and out of scrapes at her highland home. As in the original series, abundant details of everyday life provide a picture of the time…” (The Horn Book Guide). “With her brothers away at school and her older sister acting moody, seven-year-old Martha feels lonely, particularly when her family leaves her behind for a week while visiting relatives. But she enjoys playing with her pet hedgehog and entertaining her young cousins, who spend the week with her. Martha’s domestic adventures ring true, and her spirit makes her a likable character in this story set in eighteenth-century Scotland…” (The Horn Book Guide). “Now eight years old, Martha has to study with a governess rather than play on the moor with the other children who live on her father’s Highland estate, but she still takes advantage of every opportunity to interact with her friends. 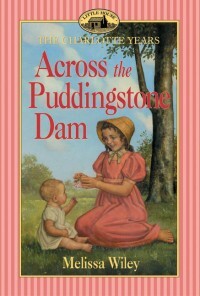 This prequel to the Wilder books relates Martha’s growing understanding of the benefits and drawbacks of her station in life. Readers will appreciate Martha’s candor and her adventurous spirit…” (The Horn Book Guide). 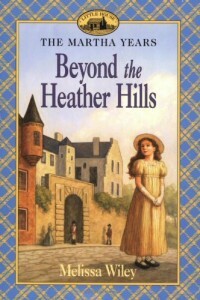 “The fourth book in the Martha Years series, which relates the life of Laura Ingalls Wilder’s Scottish great-grandmother, begins when 10-year-old Martha leaves home for the first time. Her older sister, Grisie MacDougal, now married and living in her father-in-law’s household in Perth, welcomes Martha, and they grow closer than they had been at home. Old Mr. MacDougal dies during Martha’s visit, an aspect of the story that is surprising and well handled, and the family has a ceilidh, a traditional celebration with food, fiddles, bagpipes, dancing, and storytelling for the whole community. Softly shaded pencil drawings enhance the chapter headings, and a few larger drawings illustrate the text of this appealing, episodic story. 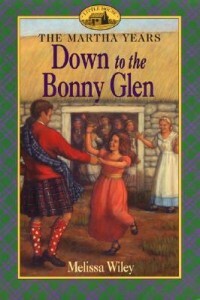 Obviously, children will recognize that the eighteenth-century Scottish setting is noticeably different in its social strictures and customs, but they will readily understand and identify with Martha’s emotional reactions to what she finds around her, from her uncomfortable feelings at Mr. MacDougal’s sudden illness and death to the loneliness of being the youngest child and the last one at home…” (Booklist). 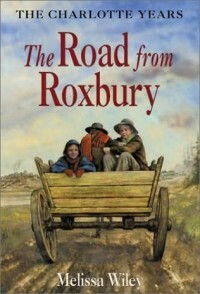 It’s 1814 and five-year-old Charlotte Tucker lives with her family in the town of Roxbury, near the bustling city of Boston. Life in the Tucker’s little house has always been pleasant and merry, but Charlotte’s family worries more and more about the war that’s been going on since 1812. Now the British have gone and blockaded Boston harbor, and that means no molasses for supper. Charlotte is just beginning to realize that events happening far away can change things at her very own dinner table. 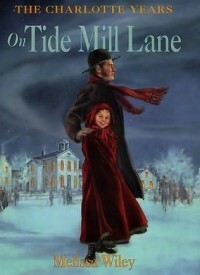 “…five-year-old Charlotte joins the town’s celebration of the end of the War of 1812 and anxiously awaits the return of her father’s hired hand, Will, who is a member of the militia. 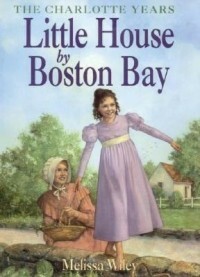 Little House fans will be intrigued with the story of Laura’s grandmother, though Charlotte is charming enough to carry this well-crafted series completely on her own…” (The Horn Book Guide). “Eight-year-old Charlotte struggles with her teacher’s unfair treatment and sulks about being left out of trips to Boston to see the new gaslights and the president. But she also finds pleasure in everyday family life, as well as surprises, such as a new baby in the house and a trip to the fair. This is a pleasant continuation of the fictional story of the sensitive girl who would eventually become Laura Ingalls’s grandmother…” (The Horn Book Guide). “As in Wilder’s ‘Little House’ books, the vitality of the pioneer spirit throbs through this industrious, close-knit family striving to eat what they are served in life and shake off despair and misfortune…” (Ann Philips, Barnes & Noble). 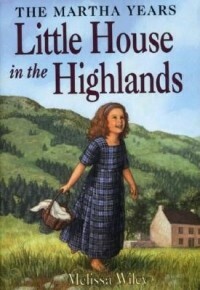 For more information about my source material and inspiration for the Martha and Charlotte books, visit my FAQ or explore the Little House archive on my blog, Here in the Bonny Glen.